It’s been a while since we have seen something from ReOrder, our Slovakian trance producer. 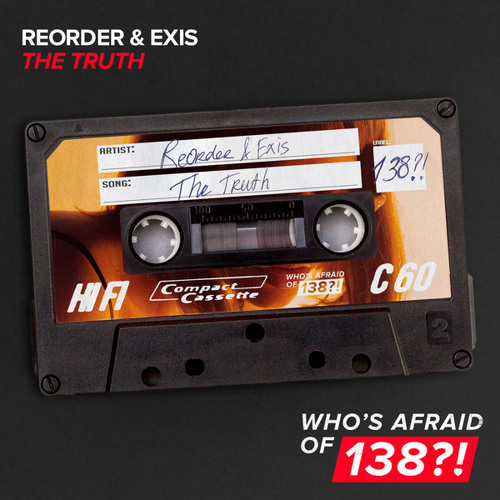 This latest single is titled ‘The Truth‘ and it features Australian trance native, Exis. The song starts off on a monastery feel, with bells chiming in the background. It’s an interesting beginning that leads up to a big room psytrance drop. That is the essence of Exis. Blasting into that high tempo riff, this is also a progressive piece–something of ReOrder’s speciality. We get brought back to the bells in the middle and learn somebody’s “gotta tell the truth”. Into that lyric comes the next big room trance sound backed up the psytrance bass beat pounding through. Nearing the end, the distant echo of the bells run through their last breath as monks chant their last note. Our Slav is a native to this transcendent genre and with over ten years of expertise releasing breakthrough singles, his career is right on track. He’s played with many notables like Ferry Corsten, Aly & Fila, Stoneface & Terminal, and much more. Our Aussie is just starting to make his mark in this world. Australia and little bits of Asia are getting a taste for what Exis can bring to the stage. His releases hold great talent and will continue on for a promising future. Both artists have been supported by top artists of their world like Armin van Buuren, and continue to aspire to be like others of their time. Out now on Armada music, listen to their latest collaboration below.